With a fully featured Loxone Smart Home automation system controlling the lighting, heating and security in the most efficient way possible. 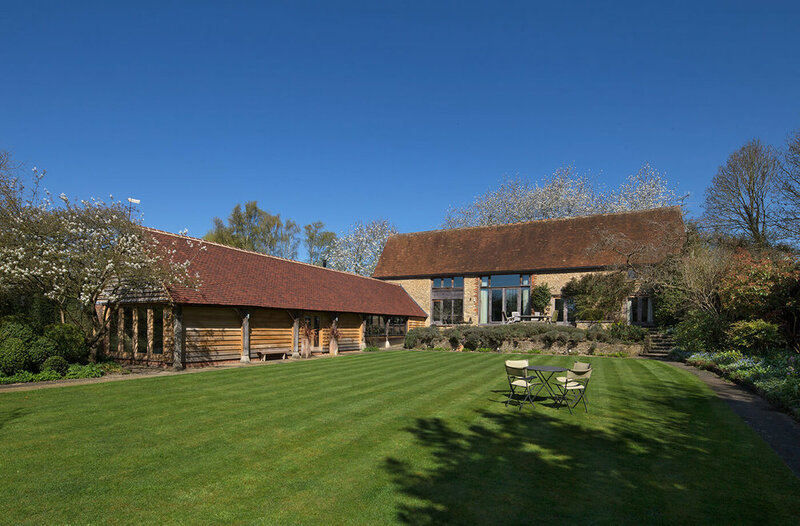 Whistlers Barn is a beautiful example of a building that has recently been converted and extended to offer greater living areas while staying true to the elements that give this period property its charm. The original part of this inviting property is believed to date back to the 1800s and is nestled in an Oxfordshire village that plays host to a surrounding perfectly befitting of a home of this stature. As the name suggests, part of this home was a barn at some stage and the transformation into a stunning 3000 sq ft home is truly inspiring. 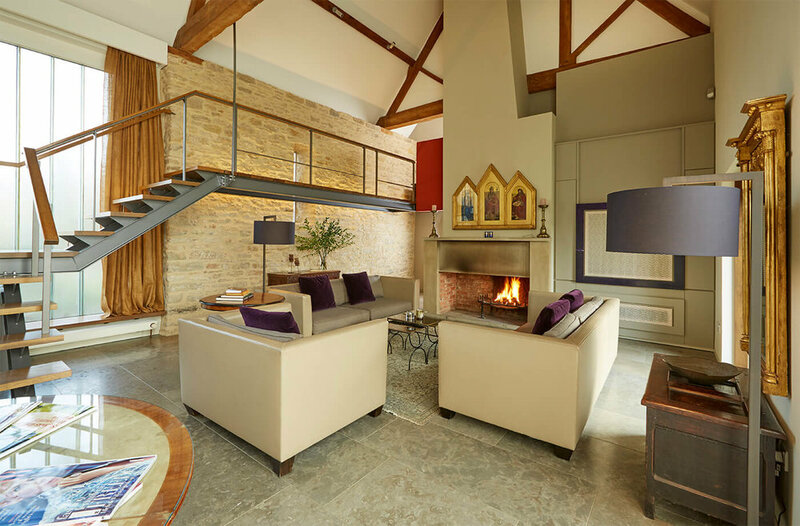 Whistlers barn now boasts 5-bedrooms, a drawing room and an open plan kitchen/dining area. 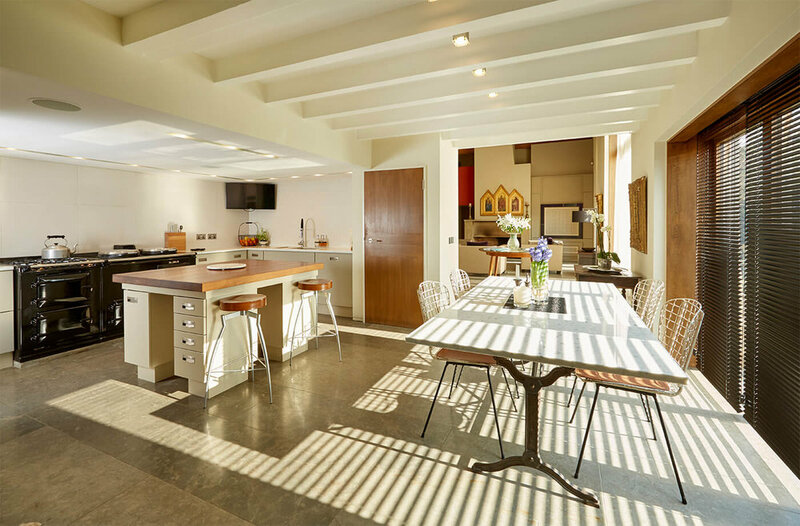 It has a self-sufficient annexe or the absolutely ideal place for entertaining with room for a 16-seater dinner party complete with a kitchenette for the caterers. 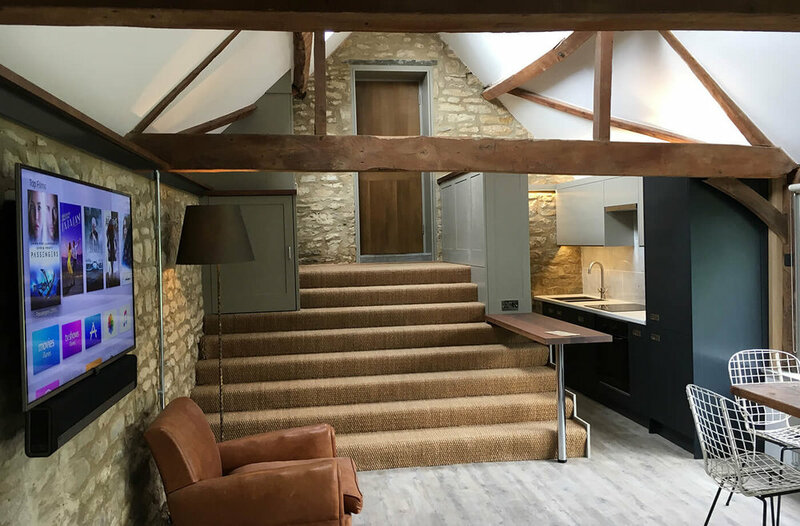 When it came to renovating and extending this property, careful planning not only went into how the spaces would be used but also how Whistlers Barn could also become a Real Smart Home. For this, Richard, the owner turned to professional smart home experts; Halo Haus. Halo Haus are no strangers to working with bringing period properties into the era of smart home living. For this property, we commissioned a Loxone Smart Home system for the control of smart lighting, smart heating and smart security. Throughout the home, you’ll find Loxone Touch switches. Fifteen years ago, this property also went through an upgrade and at that time there was included a so-called ‘smart lighting’ system in the home – but there was nothing smart about it. The result was a bunch of switches on the wall with 15 different lighting levels. However, over time, the technology became obsolete and the components were no longer available. The extension was going to allow for a new smart lighting system to be installed, one that would stand the test of time and provide actual benefits. One challenge though, was that 80% of the original home would need to be retrofitted, while the extension could be wired. This is where Halo Haus confidently chose Loxone for the job after conducting a thorough survey. 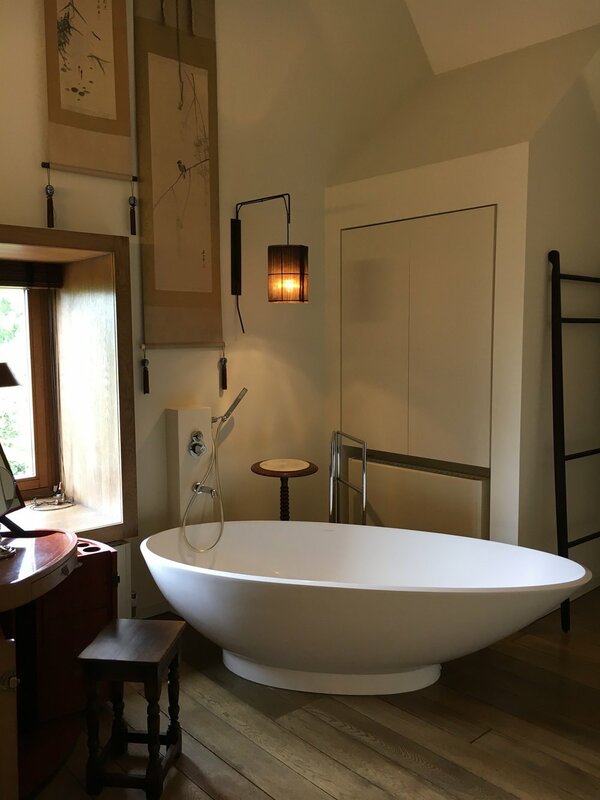 With both wired and wireless components to intelligently control and automate lighting, Loxone was a perfect fit for Whistlers Barn. This project was also the perfect opportunity to move to LED lighting. 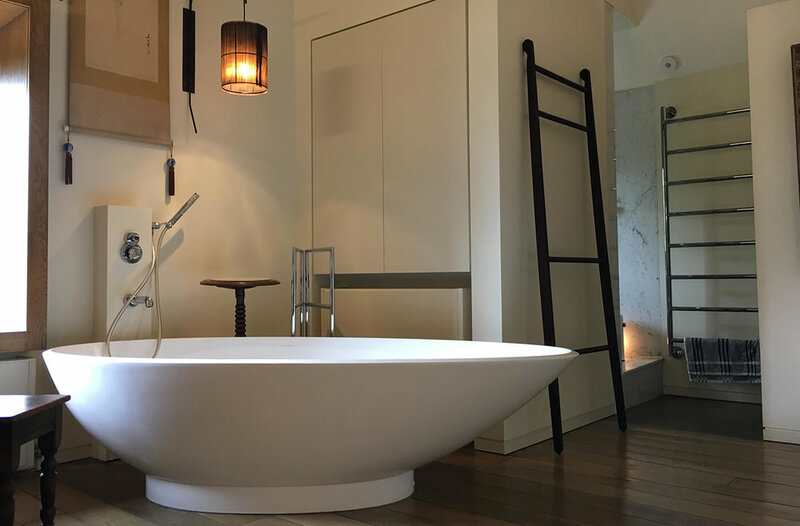 The home features a mixture of ambient, task and accent lighting so having a more energy-efficient solution was an attractive option for the client. The main part of this home is 2500 sq ft – quite an area to keep warm. An aga keeps the heart of the home nice and warm while three boilers and zoned underfloor heating – all intelligently controlled with Loxone – ensure the rest of the home is at the perfect temperature. The way the heating has been designed means should the potential annexe part of the home be used separately, one of the boilers acts as an independent heat source. The intelligent automation of the underfloor heating is not the only benefit of smart heating in this home. As the family don’t live here the whole year through, another fantastic benefit that gives them peace of mind as they can manage the heating remotely and ensure the home is warm when they arrive. Another fantastic element of this gorgeous property controlled by Loxone is smart security. This is more than just having an alarm siren sound if someone tries to break in. For the client, it was important that he and his wife would be able to know that everything at home was okay, even if they were 1000 miles away. If someone did try to break in, the lights in the property would start flashing and a notification would be sent immediately to all connected smartphones or tablets. Knowing straight away that something is amiss can make all the difference while your home deters the potential intruder. In addition, this Real Smart Home includes presence simulation. This means that when the family are away and the property is not being rented out, then it will still appear as though the home is being lived in thanks to the lights turning on and off, in a way that mimics the usual use of lighting. As well as having seamless WiFi throughout the property has modern TVs and Sonos multi room audio system so they can enjoy watching TV and listening to music throughout. The elegant installation and high quality components give a great audio visual experience whist being incredibly easy to use. "I would do it all again! Without hesitation. There is a general feeling of the house being more efficient, from a power usage and ease of operation point of view."